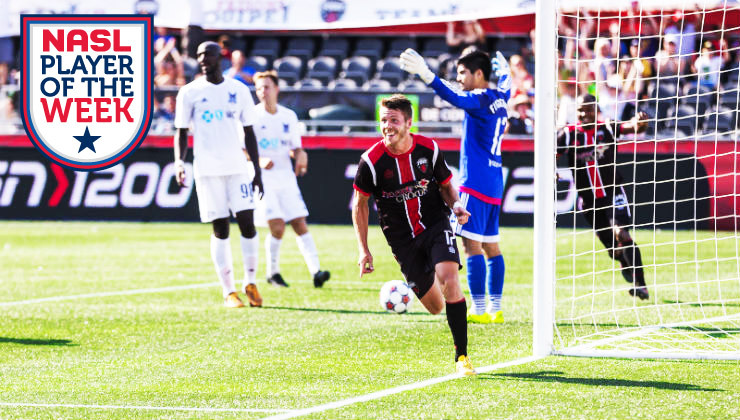 Ottawa Fury FC increased its unbeaten streak to 10 games with a pair of victories last week, and midfielder Carl Haworth played a giant role in both wins, scoring a goal in each affair to earn NASL Player of the Week honors. The 26-year-old Canadian netted Fury FC’s opening goal in a 2-1 triumph over the Atlanta Silverbacks on Wednesday, and then followed suit with a stoppage-time winner in the club’s 2-1 win over the Carolina RailHawks on Sunday. On Wednesday night, Haworth broke the deadlock early in the second half, running on to forward Tom Heinemann’s flicked header before firing a shot past Silverbacks goalkeeper Steward Ceus. Sunday’s goal was far more dramatic, as Haworth latched onto defender Ryan Richter’s cross to win the game in the final minute of second-half stoppage time. By collecting six points last week, Fury FC achieved much more than simply extending its impressive unbeaten streak. The two wins put the club on top of the league’s Fall Season Standings as well as its Combined Standings. With 13 points through five games, Ottawa is five points clear of second-place FC Edmonton in the Fall Season Standings, while they lead the Combined Standings by two points over the New York Cosmos and Tampa Bay Rowdies. Born in Southport, England, Haworth is a former member of Canada’s youth national team setup. 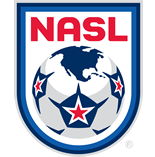 After a successful four-year career at Niagara University (N.Y.), the 5-foot-7 midfielder was taken in the fourth round of the 2012 Major League Soccer (MLS) Supplemental Draft by the Montreal Impact. After leaving Montreal, Haworth played in the PDL for two years – first with Forest City London and then with Ottawa Fury – before signing with Ottawa’s NASL side in 2014. He has since been a mainstay in Marc Dos Santos’ lineup. Fury FC will look to extend its unbeaten streak to 11 games when it meets Canadian rival FC Edmonton on Sunday at SMS Equipment Stadium in Fort McMurray, Alberta. Kickoff is set for 4 p.m. ET and the match can be seen live on Rogers TV (Ottawa) and City TV (Edmonton) in Canada and ESPN3 in the U.S.